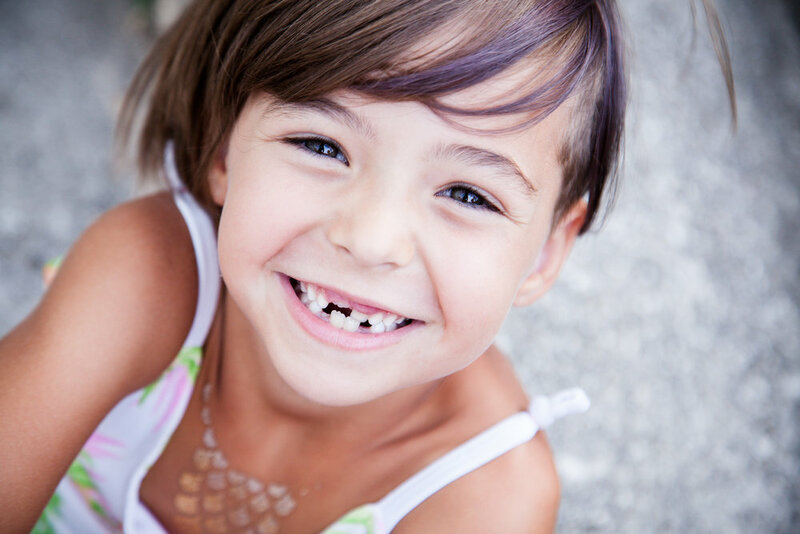 If there is a single tooth crossbite, braces or a retainer may be used to move it into the correct position. If multiple teeth are in crossbite, palate expander is normally required.. Inadequate vertical overlap of the front teeth characterizes an openbite. It is caused by oral habits such as tongue thrust, digit sucking, or when the jaws don't grow evenly. Timing of treatment is critical to the overall success of the therapy. Openbite can be corrected through growth modification of the jaws; extrusion of the front teeth; and in some cases surgical correction of the jaws. Breaking oral habits such as digit sucking will facilitate the correction of an openbite and make the result more stable. Overbite is a measure of the vertical overlap of the upper and lower front teeth. Excessive overbite may be caused by disproportionate eruption of front teeth, or over development of the bone that supports the teeth. Excessive overbite is commonly seen in conjunction with a Class II relationship (see below). Overbite is also known as a deep bite. Overbite can be corrected through orthodontic leveling of the front and/or back teeth. Overjet is measure of the horizontal relationship of the upper and lower front teeth. It is often called "buck teeth", and is commonly confused with overbite. Excessive overjet may be caused by improper alignment of the molars (Class II relationship); a skeletal imbalance of the upper and lower jaw(s); flared upper incisors; missing lower teeth; crowded or tipped back lower teeth, or a combination of all the above. In addition, oral habits such as thumb or finger sucking or tongue thrusting can exacerbate the condition. Underbite can be corrected by growth modification of the jaws; extraction of teeth; and in some cases surgical movement of the jaws. Crowding is the lack of space for all the teeth to fit normally within the jaws. The teeth may be rotated or displaced. Crowding occurs when there is disharmony in the tooth to jaw size relationship, or when the teeth are larger than the available space. Crowding can be caused by early or late loss of primary teeth, improper eruption of teeth, or a genetic imbalance between jaw and tooth size. Spacing, the opposite of crowding, is an excess of available space, resulting in gaps between the teeth. This generally occurs when the teeth are smaller than the available space. Protrusive teeth, missing or impacted teeth, or abnormal gum tissue attachments can also cause spacing.